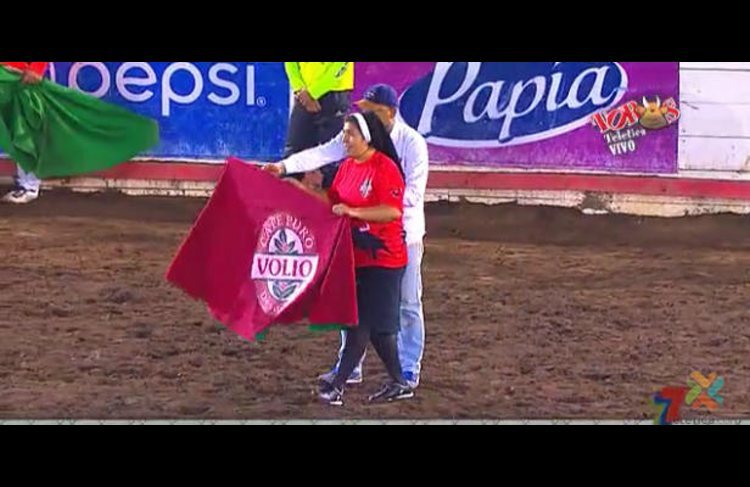 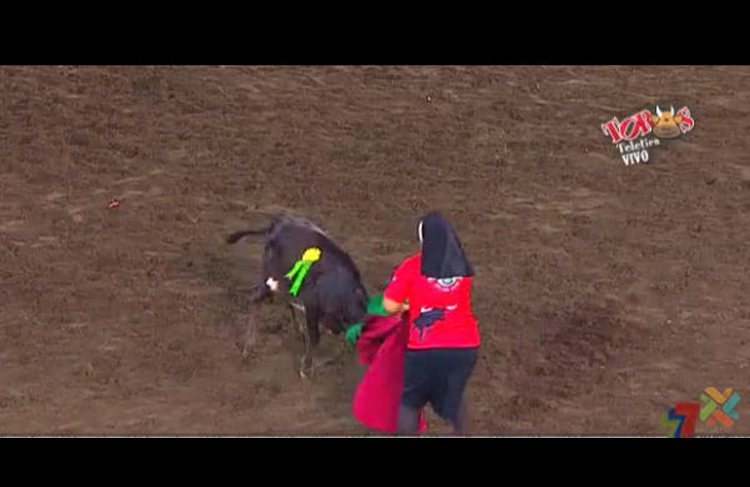 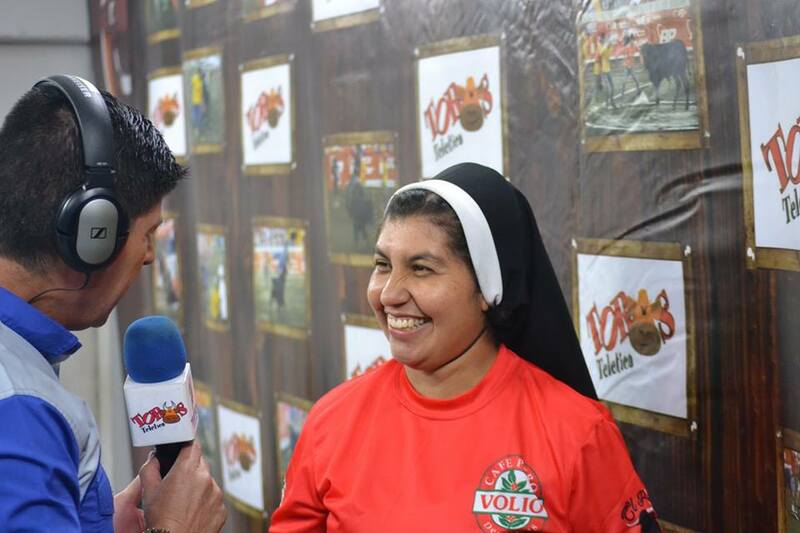 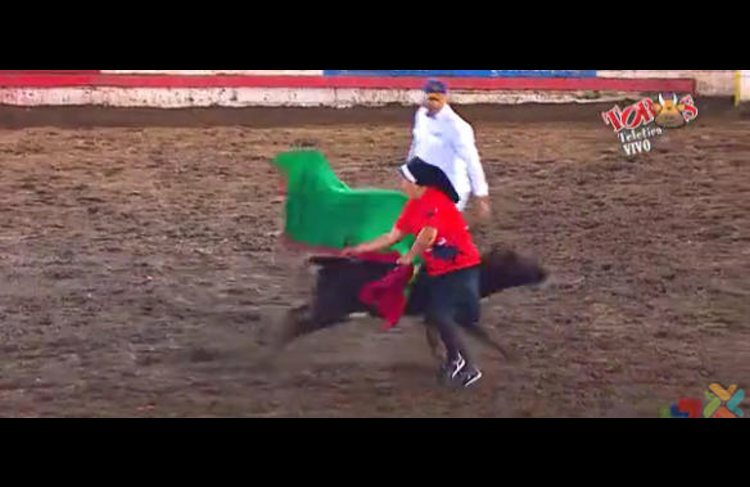 Q COSTA RICA – Sister Aracelly Salazar took to bull ring in Zapote to show off her talent for bullfighting, taking the Toros Teletica challenge and well, with the faith of God, came out of the ring in one piece. 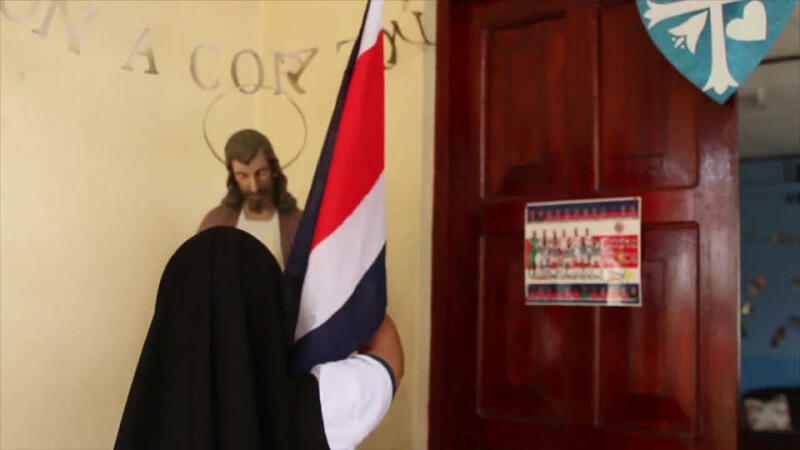 Sister Aracelly Salazar, doing pastoral and religious education work at the Oblate Sisters of Providence, in Siquirres, is Costa Rica’s self-proclaimed number one soccer fan, is not in the habit (pun intended) of fighting bulls. 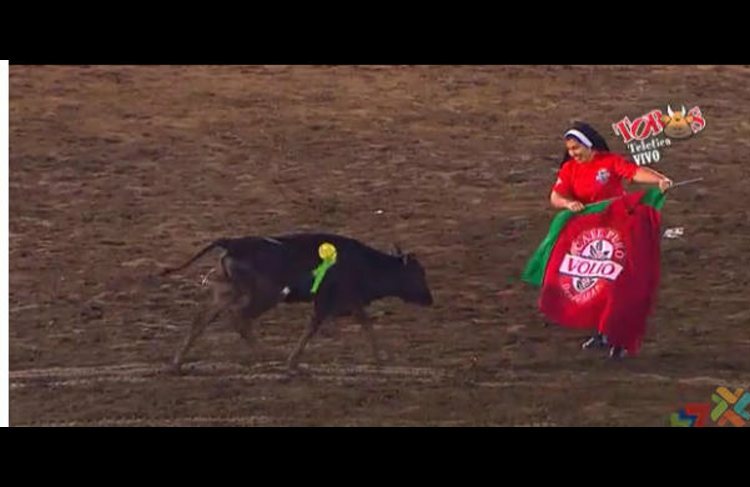 She explained during her interview after her bullfight, combined with her faith and experience with working with animals as part of her mission work, she did not have any fear entering the bull ring. 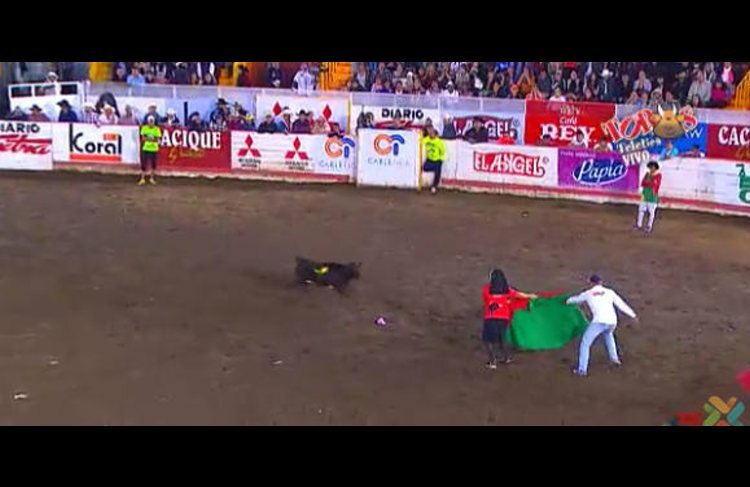 In the Costa Rica bullfights the bull is never hurt. 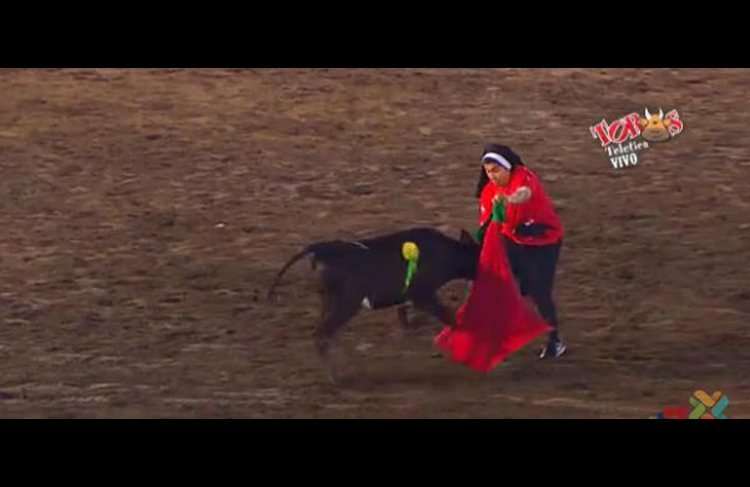 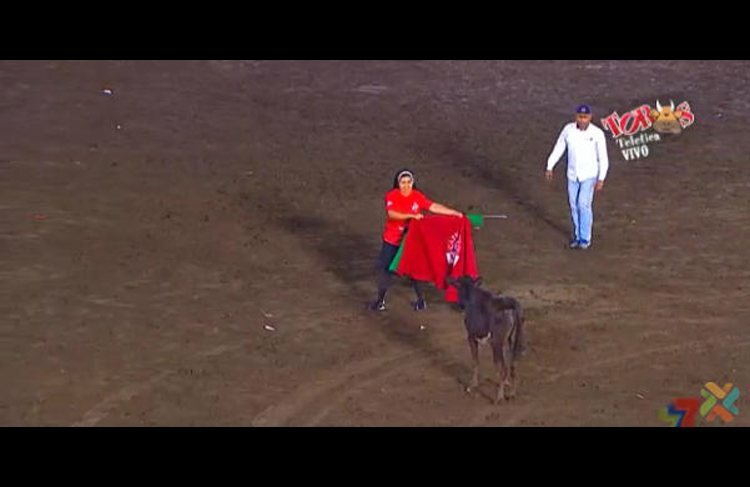 The objective here is to touch the bull with the spear like rod resembling the one used in real bullfights such as in Spain or Colombia. 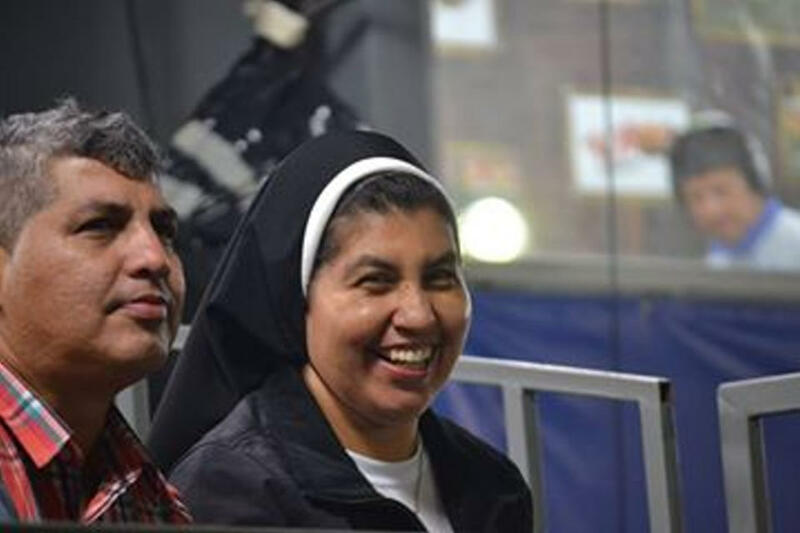 When Sister Aracelly is not kicking the ball around, she hosts a TV show on a religious channel to relive the national (soccer) team’s best moments, with thousands tuning in every Saturday to hear her analysis.